Rehearsals and behind-the-scenes work in progress lead viewers to anticipate and expect the real thing. Watching a rehearsal of a choir or the behind-the-scenes of a film production makes me want to go see the real thing (when it’s ready). Like watching a chef prepare a meal, I start to get hungry. Twitter led me to watch the work-in-progress of The Hobbit which will come out next here. The youtube video is not short by any means, but you grow to love the people working on the set and film. On Facebook, I played a video of the rehearsal of the 88-member student choir of the New England Conservatory. So much goes on in a rehearsal that is not obvious. For the bystander like myself, I see beauty that is being created. I am reminded of my days as a conservatory student, singing in two choirs per year to improve my solfege. For others, it’s the awe of the director — how he manages to get the choir to produce an impressive sound. The free lunch rehearsal concert ended 15 minutes earlier than I had expected. Yet we all felt satisfied — as though we’ve had our lunch. That was a live trailer of the concert that evening. All in all, I’d say that rehearsals, work in progress, behind the scenes and pre-production all lead us to anticipate. When we anticipate, we expect. It makes us look forward to the real thing. 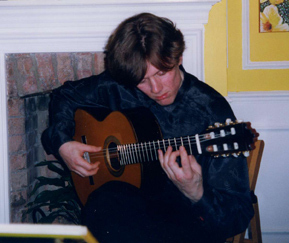 Robert Bekkers wrote the solo guitar work “Prelude for Anne” shortly after meeting Anne Ku in Amsterdam in 2001. Listening to it brought back memories of my early days with Robert Bekkers, who wrote and played the guitar solo piece for me. It was the first time anyone had composed a work dedicated to me. I am pretty sure of that. I was not only flattered but genuinely taken by it. I suppose it’s like receiving a love letter, a love poem, or a gift that is totally original and unique. 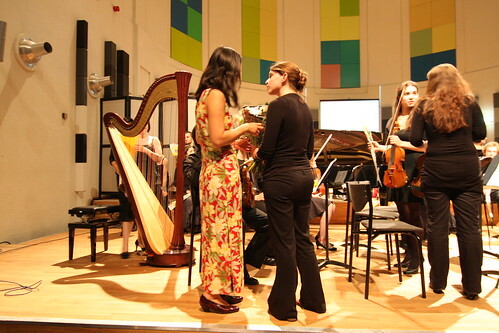 Such is the gift of music — a composition written for a person and dedicated to that person. Shortly after I met Robert in Amsterdam, I organized a small house concert in my home in London in April 2001 in which Robert played several solo pieces. I cannot remember for sure if he included this prelude as I did not mention it in my blog. Nor did I list it in the subsequent house concerts. Somehow I do recall a premiere and several performances. But when and where? Would this blog post jog his memory? Or inspire him to find the sheet music?